Discussion in 'Introduce yourself' started by seanSMS, Apr 16, 2019. Just a quick thread to say hello and introduce myself. 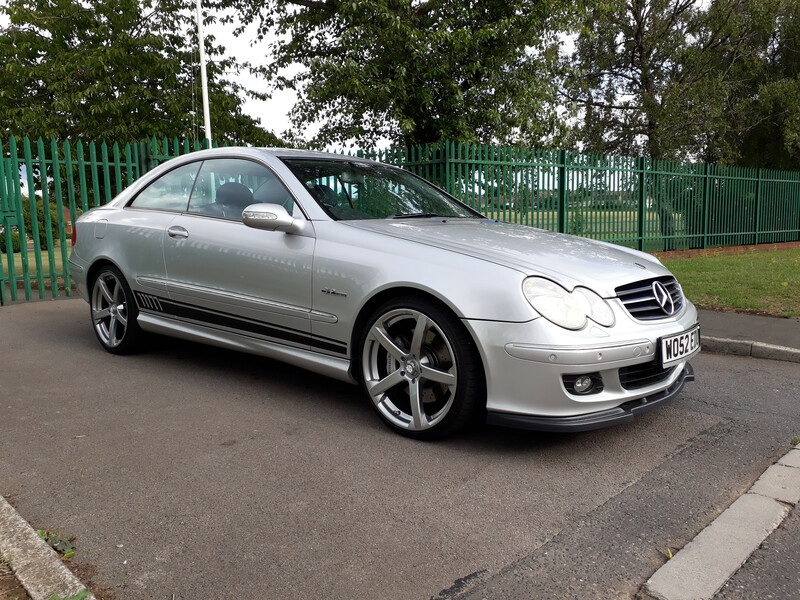 I am new to Mercedes ownership and have recently purchased a 2002 CLK320 W209, I have done a few mods to it like 19" alloys and uprated suspension, android stereo. Absolutely love the car and to be honest it is my weekend toy as during the week I am a driving instructor and work way too many hours. Hi Sean and welcome to the forum and the world of Mercedes. Can we see some pictures of the car sometime. Wighty, Srdl and McDonald like this. Hi Sean and welcome matey!! Very nice! Sean, love the wheels, Jade R's ? What for it! The badge police will be along presently. Welcome to the forum, nice car. Welcome Sean, you have a handsome car. Wighty and Blobcat like this.